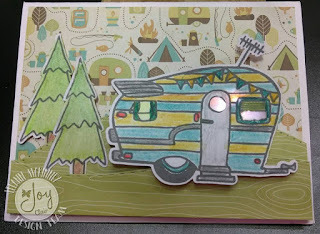 Hi there my crafty friends, today I am bringing you an adorable camping set new from Joy Clair, and the introduction of how to use the Chibitronics Lighting System in your crafting. 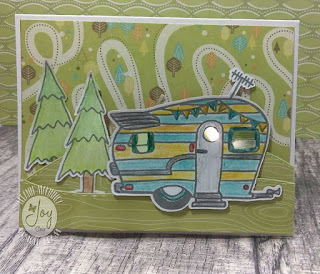 First let me start with the stamp set used... As soon as I saw this set was coming I knew the paper I would use with it. 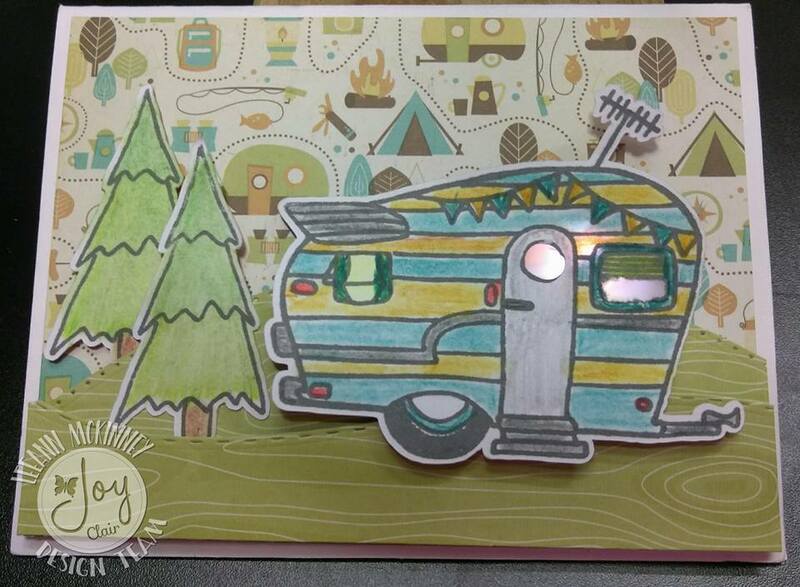 The background paper is from WRMK and it is called Happy Camper, from 2013. While I did a video to show how I put this card together, it is just exactly that... putting it together. I actually made this video 3 different times, which meant making the project 3 different times, and FINALLY it is complete, first the video didn't save, then there was background noise that really irritated me and I could not get that sound layer to come off. SO... you have me talking while putting this project together for the last time. I am still not sure which version of the card I prefer, so I will show you both photos. This second photo is the one seen in my video. Step by step pictorial of how I made this project. 1. I downloaded the SVG file that went with the stamp set and used the Scan n Cut to cut the images I wanted to use. 2. I used my Archival Ink color Watering Can to stamp out the images with my Stampoholic in order to be able to double stamp if needed. 3. While the ink was drying, I used my landscaping dies to cut out two different scene pieces for my project. 4. 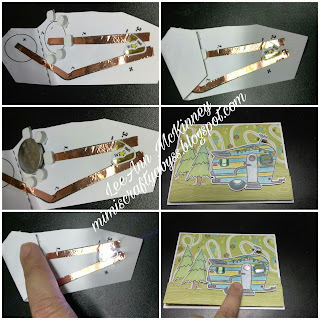 Using the Chibitronics Intro Kit, I decided which pattern would be best for me to use for this project, where the circuit could be hidden behind the scene, and still get the desired effect. The great thing about this sample set that I purchased is that there is 3 LED lights, enough of the Conductive Copper Tape for a few projects. The CR2032 batteries I have several of already and they can be purchased easily. This set also comes with 3 circuit templates, and there are a great many more available on the Cibitronics website. 5. So, layout the copper tape, attaching the LED being very careful not to touch the back side where it attaches to the copper tape. You do not want the oils from your hands to interrupt the connection. 6. At this point, I colored the images with watercolor pencils and then set about finalizing the card. 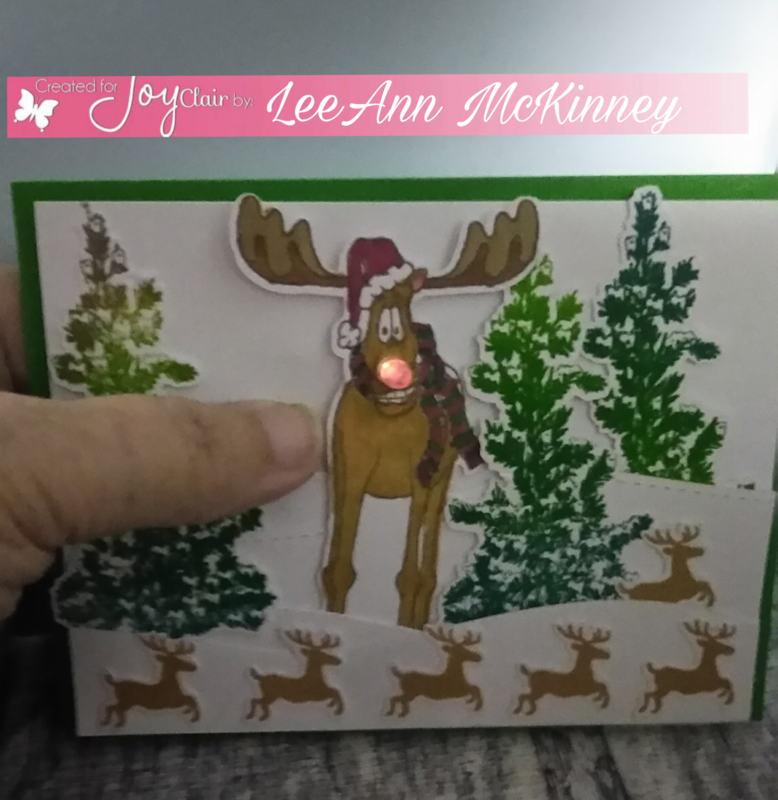 I have to say, as I said in the video, I have been making light up cards for a couple years, and this is the EASIEST way to make them, and I am so happy to have this in my paper-crafting arsenal now. You WILL see more light up projects from me in the future. 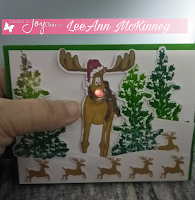 If you would like to see another light up card I have made, here is the post. 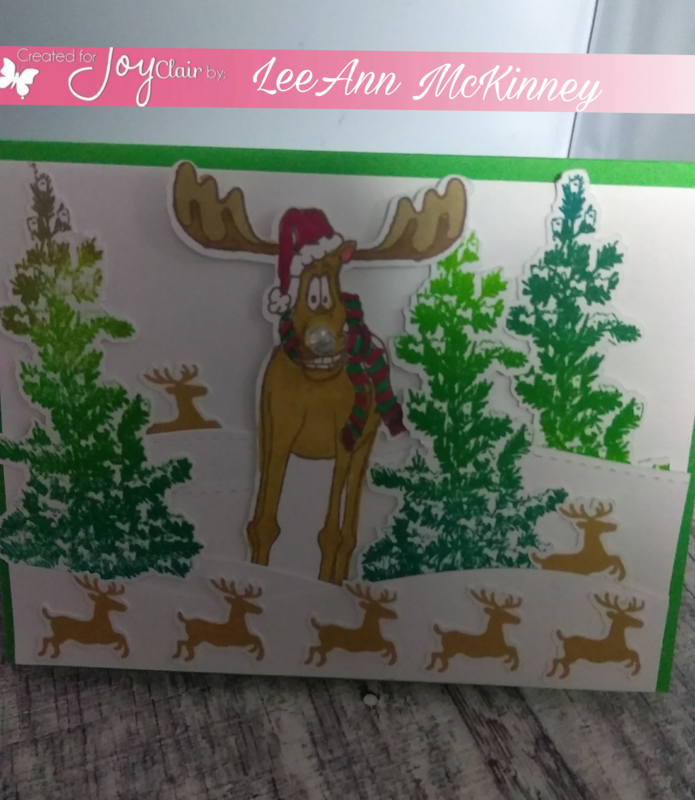 Great card LeeAnn! 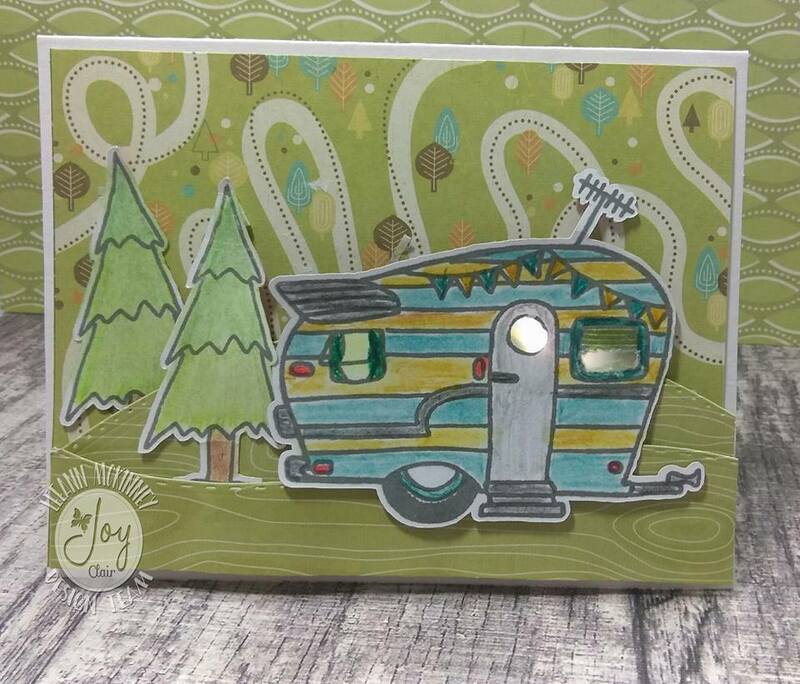 I love the road map paper you used for the background! Love this card!! Thank you for sharing!